At 75, Valerie Gorsuch believes she is in the best shape of her life. Admittedly, she’s always been active with walking and running, but it wasn’t until she joined Small Group Training at the Center for Health & Fitness (CHF) last year that she truly felt like she’d built up the stamina, cardio, muscular strength and balance needed to complete the four-day hike to Machu Picchu in Peru. Valerie holds a standing promise with each of her grandchildren that when they turn 13, she will take them on a world adventure of their choosing. 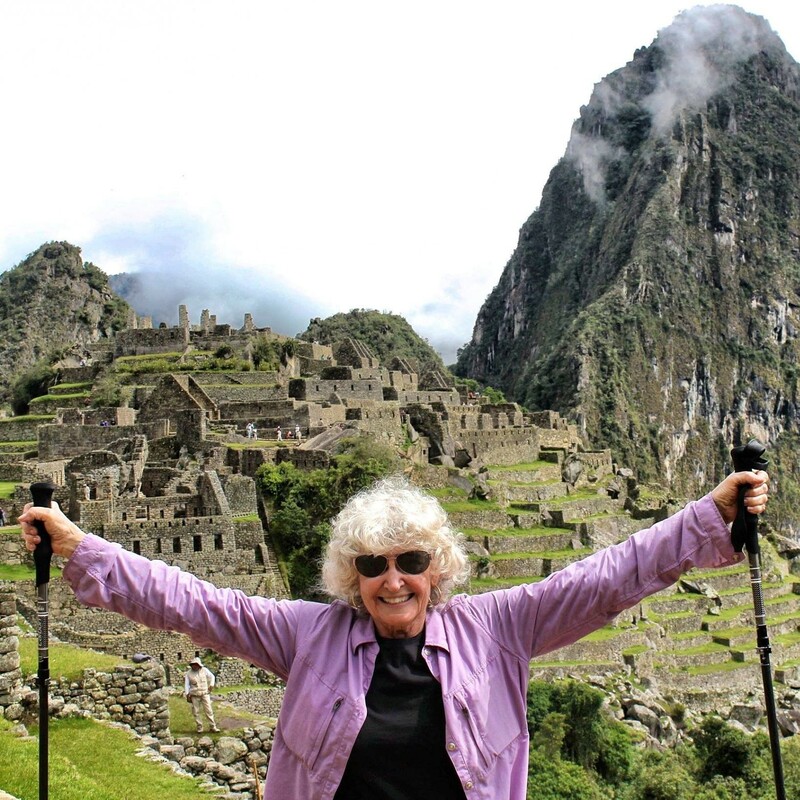 For her grandson Connor’s trip, they both agreed to the Machu Picchu ruins, however, taking the train up wasn’t an option. They desired the full experience of hiking the trail that people had endured since the 1400s. “Most of the people doing the hike were in their twenties and thirties,” laughed Valerie. “I was the oldest in the group and people were surprised I was doing this at my age." Valerie did, however, face some challenges on the excursion. “I started the hike already breathless due to the altitude and it surprised me,” she explained. The trail itself is no walk in the park. The original stone path is very steep—each step up is about two feet high. Each day consisted of waking up at around 5 a.m. for a full day of hiking, and if you brought more than 12 pounds of luggage, you were responsible for carrying it. Even lugging around a camera and water added difficulty to the hike for Valerie. By the end of the second day, word had spread that more than 20 people from other groups had had to turn back. Popcorn or not, Valerie made it to the summit of Machu Picchu and triumphantly held her hiking sticks high above the ruins. In hindsight, some members of the group were hurting during the trek, but not Valerie. She was fit and well-prepared for the trip. Be that as it may, if you asked her, she’d tell you that she would never have been able to complete the hike without CHF, her surgeon that gave her a new knee and hip, and her Small Group Trainer Tanya Rutter.